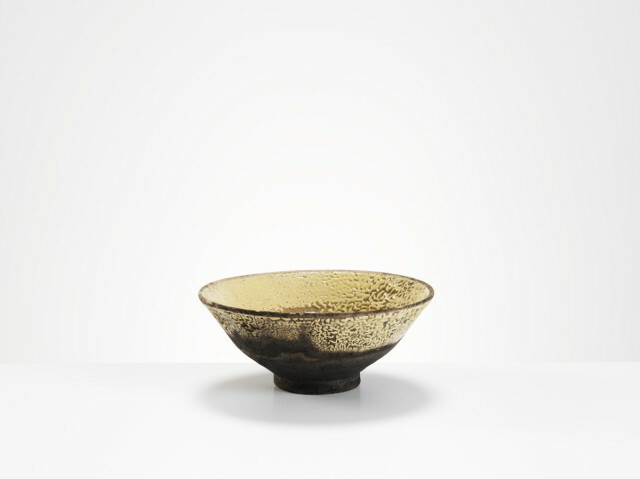 Inger Rokkjaer (1934-2008) was one of the finest exponents of contemporary raku, making direct and simple forms with rich nuances of colour and texture. The pots had a Scandinavian economy; lidded jars, bowls, bottles and cylinders with pitted and mottled surfaces that expressed the real subtleties of good raku, always at its best when succinct. Rokkjaer studied at the Jutland Academy of Fine Arts in Aarhus in the late1960s, establishing her own workshop in 1969, and in the 1980s she began to exhibit more regularly in the UK. Her marrying of Danish clay and form with a Japanese firing process has been particularly successful. Her pots and her wonderful warmth of personality are greatly missed.